NVIDIA today announced its third desktop consumer graphics card based on the "Pascal" architecture, the GeForce GTX 1060. NVIDIA aims to strike a price-performance sweetspot, by pricing this card aggressively at US $249 (MSRP), with its reference "Founders Edition" variant priced at $299. To make sure two of these cards at $500 don't cannibalize the $599-699 GTX 1080, NVIDIA didn't even give this card 2-way SLI support. Retail availability of the cards will commence from 19th July, 2016. NVIDIA claims that the GTX 1060 performs on-par with the GeForce GTX 980 from the previous generation. The GeForce GTX 1060 is based on the new 16 nm "GP106" silicon, the company's third ASIC based on this architecture after GP100 and GP104. It features 1,280 CUDA cores spread across ten streaming multiprocessors, 80 TMUs, 48 ROPs, and a 192-bit wide GDDR5 memory interface, holding 6 GB of memory. 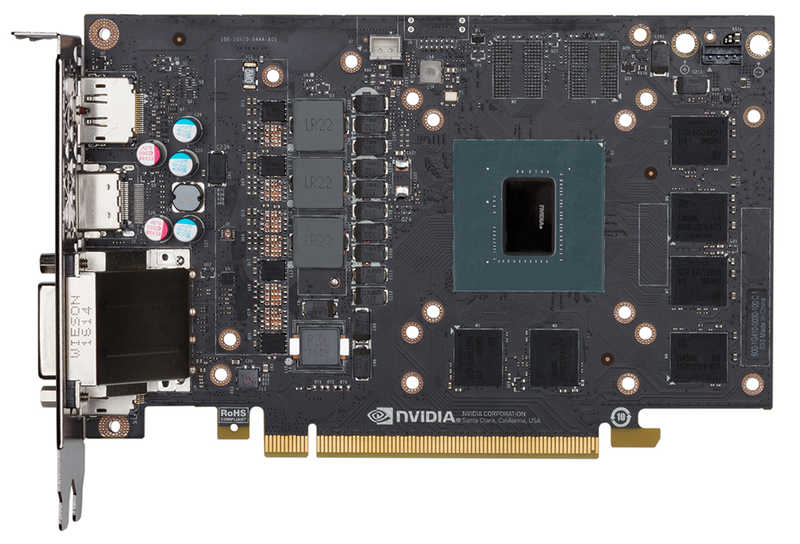 The card draws power from a single 6-pin PCIe power connector, as the GPU's TDP is rated at just 120W. The core is clocked up to 1.70 GHz, and the memory at 8 Gbps, at which it belts out 192 GB/s of memory bandwidth. Display outputs include three DisplayPorts 1.4, one HDMI 2.0b, and a DVI. Another price hike with early adopters tax for refrence cards. Whatever the performance, NVIDIA handed AMD a win with the 480 in this segment. I can't say I'm surprised. So yeah, non-ref 6GB at $300+. I don't think it really competes with RX480 at that price point. Costs more and no SLI, stupid. Anyway, when does the reviews NDA expire? so lets see, the RX480 was first said to cost 200 dollars, that became 220 dollars for the 8gb model. In stores its actually 320 euro for me. and that for something that is about GTX980 performance.....nope sorry, that is just way too much. i'm interested becuase of 249$ price tag. its enough if it's faster than 980 then everyone will be interested for sure. lets see. Not a price tag. It's the Manufacturer SUGGESTED Price. See how that worked out on the 1070's and 1080's? By NVIDIA listing the FE higher, for what will indubitably be an inferior card than AIB models, they have communicated to the AIB vendors where a reasonable price to charge actually is. NVIDIA is going to face quite some issues with GTX 2000 generation considering how high they go with the clocks now. AMD has them around the 1,2GHz mark this whole time while rivaling higher clocked GeForce cards. Meaning they have a headroom. I don't think NVIDIA will be able to push clocks beyond 2GHz by default without some radical changes, either with clocks or architecture. But that's still far away. nVidia; Charging you more, giving you less. That's totally the problem and not the fact the GloFo's 14nm doesn't scale to higher frequencies, leaving AMD unable to compete at the high-end today. No SLI = My money is going to AMD! Don't care about SLI. I can see the point for SLI for 1070 and higher but for 1060? Meh. I will buy it early 2017. Price should be normal by then. I won't be using this for gaming. I just need CUDA cores. I will buy in early 2017. Price should be normal by then. Why would there be a point for the 1070 and not for the 1060? Because the power you'd get from SLId 1060s is better provided by a single 1080. The power of SLId 1080s has no substitute today. Card without the cooler, it seems that if you take the cooler off, you take the power connector off as well. - Possibly higher overclocking headroom. Which sane person would prefer an RX 480? Custom (for ex. Sapphire Nitro) RX480s will come out the same time as Founders Edition 1060. Which will have a $20 premium over reference cards. Also the price gouging should stabilize a bit. Not a very smart move by NV to release FE first (or at all if you ask me). And that's still gonna cost $500-$600 for two 1060's. Either the prices are high, or people just see the lack of SLI and go mental regardless.